RRH is pleased to welcome Dr. Matthew Behrman to our family. Dr. Behrman is accepting new patients at Unity Family Medicine at Chili Center. He specializes in children all the way to senior citizens. 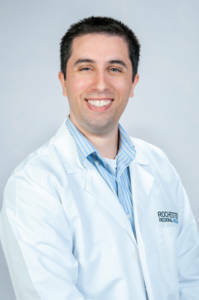 Dr. Behrman is a family medicine practitioner who earned his Bachelor of Arts in Biology from Case Western Reserve University in Cleveland, OH. He went on to receive his Doctor of Osteopathy from New York Institute of Technology College of Osteopathic Medicine(Old Westbury, NY), before completing the Washington Health System Family Medicine Residency in Washington, PA.
Posted August 16, 2018 under _Featured Stories List, Leaders / Managers, Locations, News, Physicians, Unity Hospital, Weekly Beat.